Eriks is a Creative Director at !MOOZ in Riga, Latvia. In 2005, he was elected President of the Latvian Art Directors Club. He is also a member of the juries at advertising festivals across Europe including Golden Drum and MIAF. Eriks’s agency was named “Creative Agency of the Year” in Latvia in 2002, 2004, 2005 and 2006. It has won more than 120 awards, including Cannes Lions, Epica, Golden Drum and Golden Hammer awards. In 2004, !MOOZ won as many awards in Golden Hammer as all other Latvian agencies combined. In 2005, it was ranked 2nd best Agency in Golden Drum and received seven medals at the Latvian Art Directors Club award show. Eriks designed the Latvian National Pavilion for EXPO 98, and also created and implemented the concept for the 2003 Eurovision Song Contest held in Latvia. He devised the pro-accession campaign for Latvia's membership of the EU in 2004. His multimedia project '9 Speaking Stones' was installed and displayed in Paris in the Place du Palais Royal in front of the Louvre. 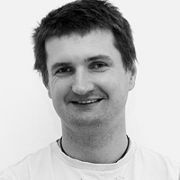 Eriks has a BA Degree in Industrial Design from the Latvian Academy of Arts and a MADC Degree in Communication Design from the London Central St. Martins. He lives and works in Riga, Latvia.